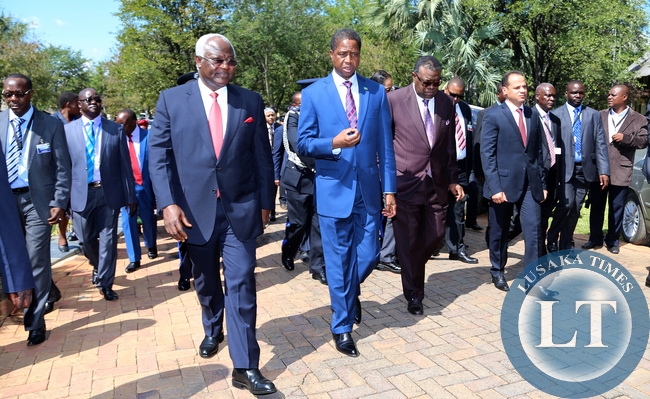 Zambian President Mr Edgar Lungu at the Dr David Livingstone Safari in Livingstone The Summit of the African Union Committee of Ten Heads of State on the Reform of the Security Council on Saturday 10th May2015 . Pictures By EDDIE MWANALEZA/STATEHOUSE. 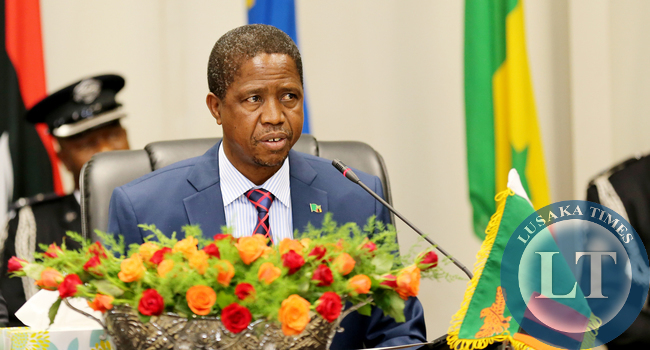 President Edgar Lungu has challenged African countries to re-energise Africa’s quest for a permanent representation on the United Nations Security Council. 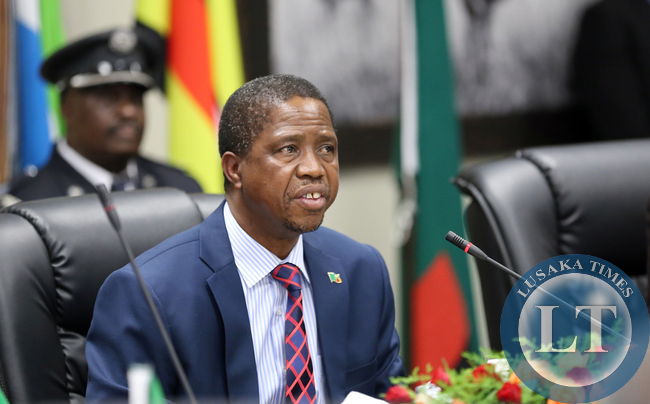 President Lungu says Zambia will remain committed to the aspirations of the Committee of 10 in spearheading reforms in the UN Security Council. “It is incumbent upon us, as torch bearers of the Ezulwini Consensus, to rise to the challenge and ensure Africa’s geo-political presence in the UN Security Council,” Mr Lungu said. The Head of State said this when he opened the African Union Committee of Ten Heads of State Summit in Livingstone today. President of Sierra Leone, Ernest Bai Koroma and his Namibian counterpart Hage Geingob, are also attending the Summit being held under the theme “The Livingstone strategy for accelerating the UN reforms”. 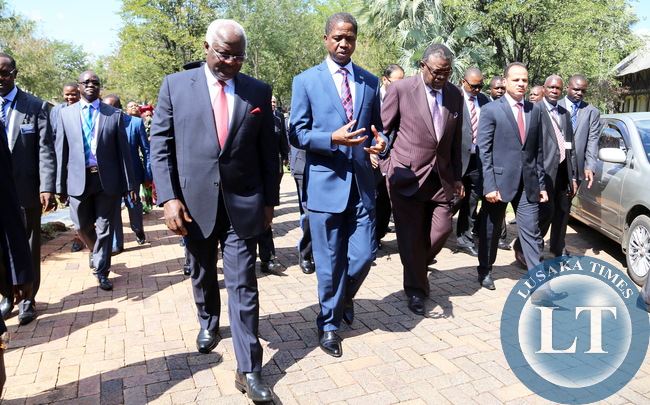 President Lungu said Africa needs to consult heavily and lobby the international community with one voice in order to realise its quest. He regretted that the UN Security Council has missed the benchmark on adapting to the evolving demands of the global community. He noted that 70 per cent of the Security Council’s agenda is on Africa and the region is excluded from making decisions on issues affecting the continent. Mr Lungu pointed out that without addressing the prevailing grave discrepancy, the United Nations risks negating the gains it has scored in its 70 years of advancing democracy, equity and inclusiveness. And President Koroma said it is time that the world corrects the present moral and political imbalance in the UN family. Dr Koroma pointed out that Africa, with a population of 1.1 billion people, is the only region without representation on the UN Security Council. He appealed to the international community sympathizing with Africa on the need for representation on the Security Council to translate their sympathies into meaningful voices and practical support. Dr Koroma appealed to African countries to make 2015 a Watershed Year in the reform of the United Nations to foster unity and mutual respect. He called on the Council of Ministers of the Committee of Ten to intensify outreach engagements at the highest political level with stakeholders. And speaking at the same occasion, African Union Commissioner for Political Affairs, Aisha Abdullahi, reaffirmed the African Union’s commitment to fully support the Committee of 10 in its quest to push for Africa’s representation on the UN Security Council. Dr Adulahi said the AU will allocate funds to ensure effective implementation of decisions of the Committee of 10 in realising the Ezulwini Consensus. The Ezulwini Consensus was mooted 10 years ago in Swaziland to push for UN reforms and Africa’s agenda for a permanent seat on the Security Council. The ten member countries of the AU committee, which include Algeria, Congo Brazzaville, Equatorial Guinea, Kenya, Libya, Namibia, Senegal, Sierra Leon and host, Zambia, are meeting in Livingstone to strategize on accelerating the UN reforms. The UN Security Council permanent members comprise Britain, China, France, Russia and the United States of America after emerging victorious in the Second World War in 1945. 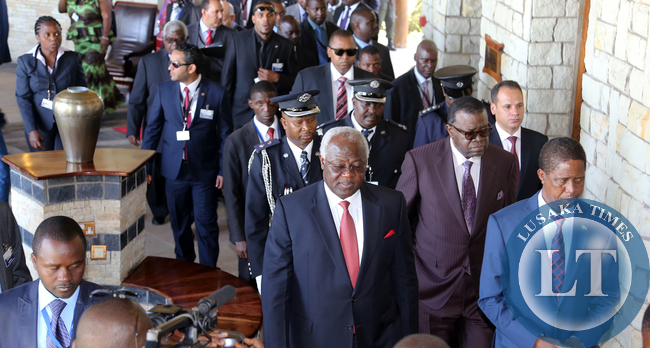 Zambian President Mr Edgar Lungu with Dr Ernest Bai Koroma President of the Republic of Sierra Leone and Nambian President Hage Geingob at the Dr David Livingstone Safari in Livingstone The Summit of the African Union Committee of Ten Heads of State on the Reform of the Security Council on Saturday 10th May2015 . Pictures By EDDIE MWANALEZA/STATEHOUSE. 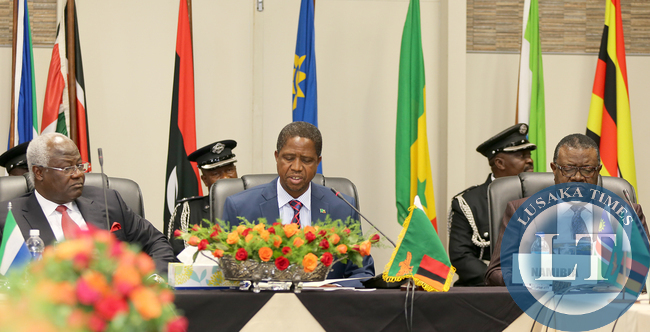 Zambian President Mr Edgar Lungu opens The Summit of the African Union Committee of Ten Heads of State on the Reform of the Security Council on Saturday 10th May2015 .Pictures By EDDIE MWANALEZA/STATEHOUSE. 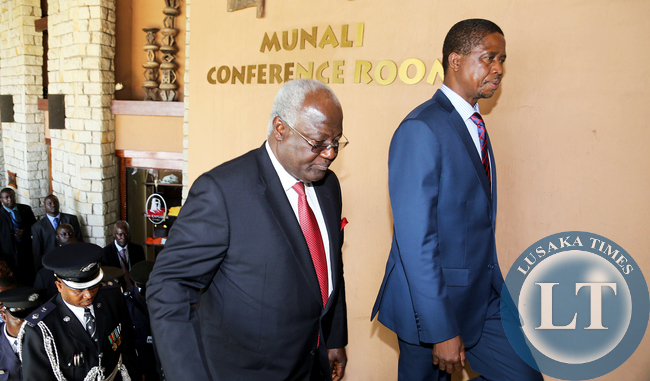 Zambian President Mr Edgar Lungu with Dr Ernest Bai Koroma President of the Republic of Sierra Leone at the Dr David Livingstone Safari in Livingstone The Summit of the African Union Committee of Ten Heads of State on the Reform of the Security Council on Saturday 10th May2015 . Pictures By EDDIE MWANALEZA/STATEHOUSE.